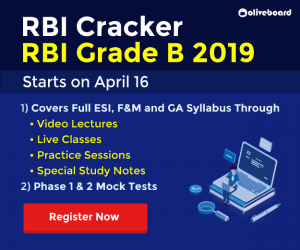 High Level DI For SBI PO/Clerk Prelims 2019. 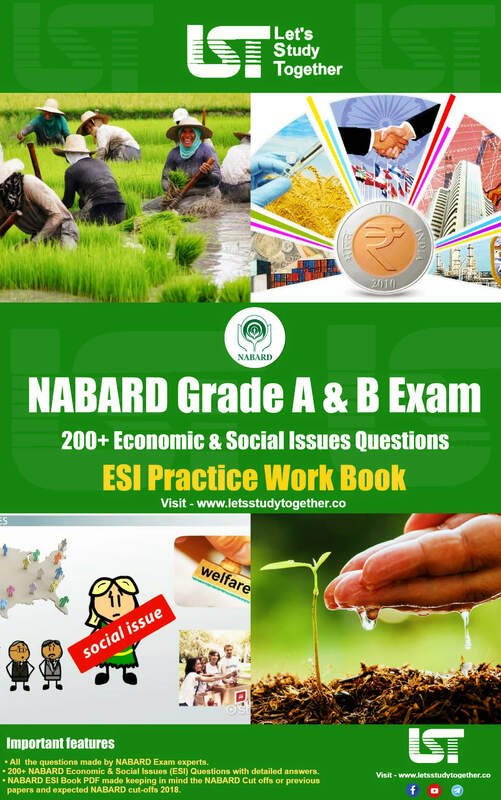 Data Interpretation Questions For SBI PO/Clerk Prelims. 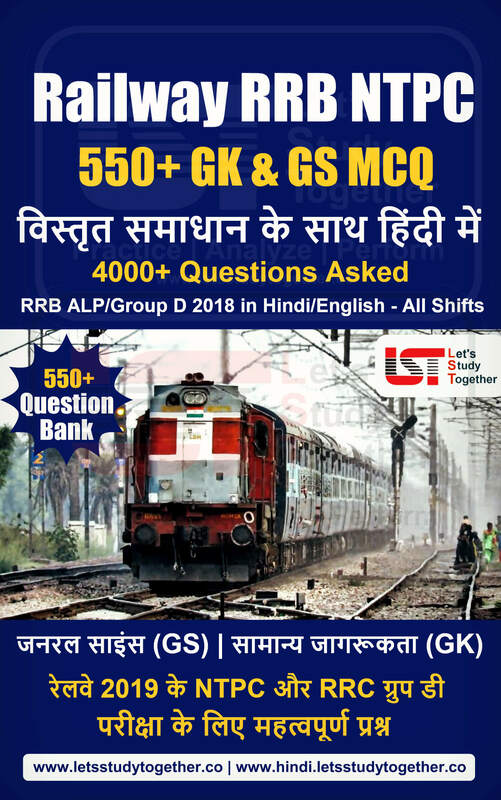 Data Interpretation PDF For SBI PO/Clerk Prelims. 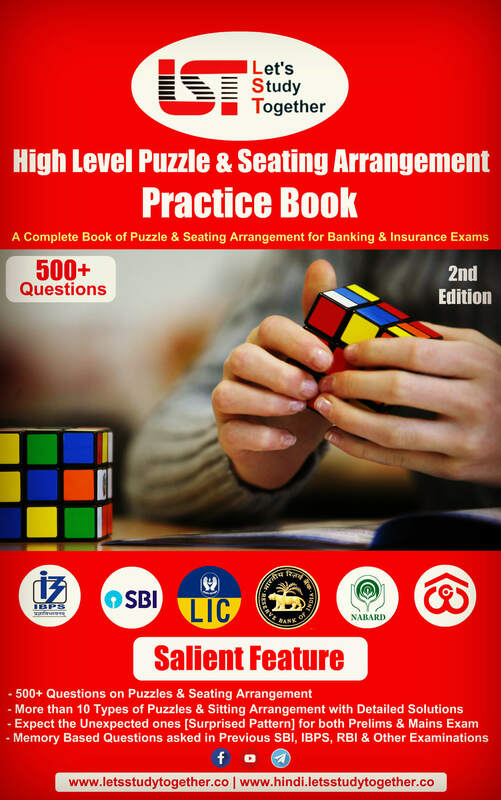 Welcome to the www.letsstudytogether.co online Quantitative Aptitude section. 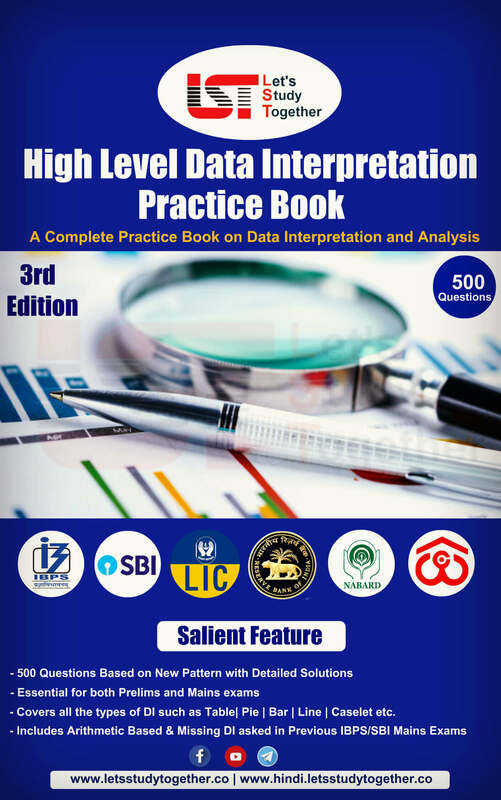 If you are preparing for upcoming SBI PO/Clerk Prelims 2019, you will come across a section on Data Interpretation Section. 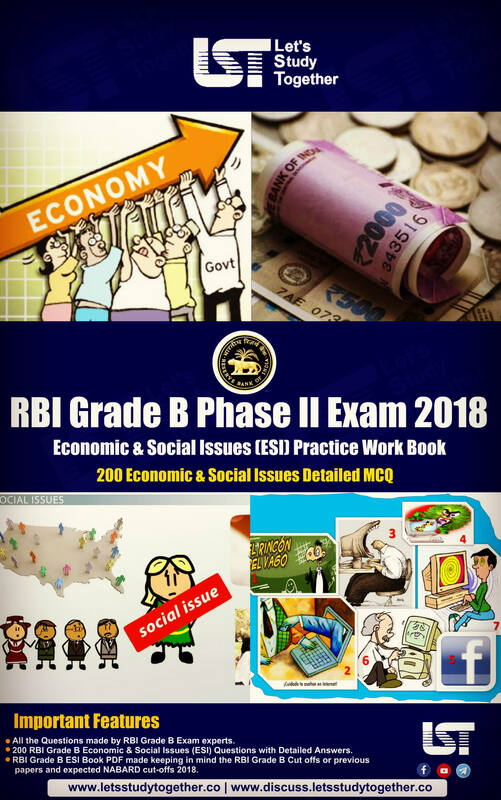 Here we are providing you with “Data Interpretation Questions” For SBI PO/Clerk Prelims 2019 based on the latest pattern of your daily practice. 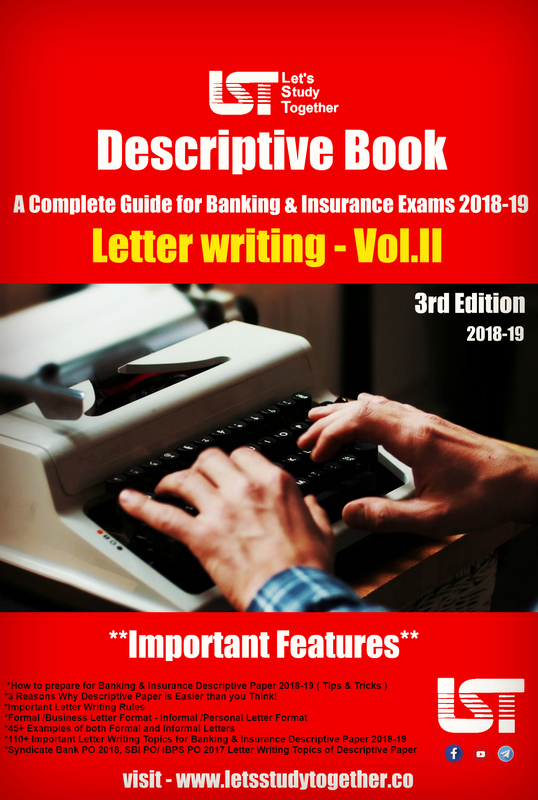 This “High Level Data Interpretation For SBI PO Prelims 2019” is also important for other banking exams such as SBI PO, IBPS PO, IBPS Clerk, SBI Clerk, IBPS RRB Officer, IBPS RRB Office Assistant, IBPS SO, SBI SO and other competitive exams. 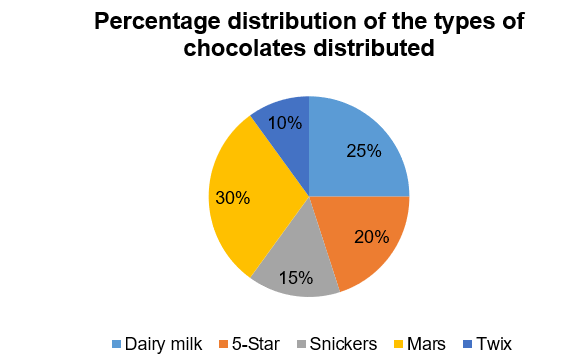 The given pie chart shows the percentage distribution of number of different types of chocolates distributed by Akshay. 1.The average number of chocolates of Dairy Milk, 5-star and Mars taken together is equal to number of chocolates distributed of which of the given type? It is equal to the number of Dairy Milk distributed. 2.Find the ratio of number of chocolates of 5-Star and Mars taken together to the number of chocolates of Dairy milk and Twix taken together. 3.The number of chocolates of Mars distributed by Akshay is what percentage more or less than the number of chocolates of 5-Star distributed by Akshay? 4.The ratio of price of one Dairy milk and one Snickers is 5:4 respectively, and total amount spent by Akshay on Dairy milk and Snickers is Rs. 1776. Find the price of 3 Dairy milk and 5 Snickers. Let, price of a Dairy milk and a Snickers be Rs. 5x and Rs. 4x respectively. So, price of one Dairy milk and one Snickers is Rs. 20 and Rs. 16, respectively. 5.Akshay distributed all chocolates among his class of 60 students such that number of chocolates received by each girl is 2 more than number of chocolates received by each boy, and number of chocolates received by each boy is 1 less than average number of chocolates received by each student. Find the ratio of number of boys to the number of girls in class. Let, number of boys be x. The given table shows data regarding the number of children who were given Polio drops and total number of children in different villages. 6.Find the average number of children who were not given Polio drops from villages A, C, and D taken together. 7.The ratio of boys and girls in village D is 5:3 respectively, and ratio of boys and girls to whom Polio drops were not given in village D is 3:1 respectively. Find the ratio of number of boys to the number of girls who were given Polio drops in village D.
8.Find the difference between the total number of children to whom Polio drops were given in village A and B taken together and total number of children in village E.
9.In village F, out of total 320 children, only 75% were given Polio drops, and the number of boys who were given Polio drops was 25% more than number of children to whom Polio drops were given in village C. Find the number of girls who were given Polio drops in village F.
10.The number of children who were given Polio drop in village E is what percentage of number of children who were not given Polio drops in village E?